My enthusiasm for natural history was probably first sparked by Richard Jefferies, whose Bevis fevered my imagination for two or three months in 1962, when I was twelve. My recreational reading consisted thereafter mostly of books about nature. Many of these I bought with my pocket money, so they tended to be second-hand and out of date. British nature-writing reached its heyday in the late nineteenth century. The drift to the cities had produced a rich vein of nostalgia for the countryside, and this was assiduously mined by the publishers of the day. Besides essayists like Jefferies and W. H. Hudson there were any number of authors who produced handbooks of the flora and fauna. All these books were written in a formal style and edited to Victorian standards of literacy. I didn't realize it at the time, but they were having a profound influence on the way I produced, and was ever to produce, written English. Nature as a subject for a child's pen is ideal: it is inexhaustible. There is also scope for original observation and plain description, especially if the child is lucky enough to have been born into a literate household and attends a school whose teachers have high expectations of their pupils. The first part of this collection comprises a series of articles published during 1984-5 by a local newspaper in my home town, Watford, on the outskirts of north-west London. After these are four short pieces I wrote purely for pleasure. These begin with Hunting Sparrowhawk. Finally I provide a series of brief extracts – often no more than a sentence or two – from the nature journal I have been keeping since 1963. Read in sequence, these provide a curious picture of a boyish enthusiasm gradually maturing. They also give a glimpse of a disappearing world. Alas, my old school is by no means what it was, children are no longer free to wander the woods and wild seashore at will, and the English countryside is even more degraded now than it was then. 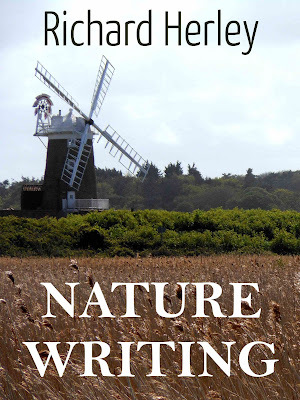 This ebook contains all the "Natureview" pieces published on this blog, together with some other essays and a selection of excerpts from my personal nature journal from 1963 onwards. Lovely cover art; very inviting!